This is the most cherished novel from each of England's talented sisters, in one gorgeously packaged volume. The Bronte family was a literary phenomenon unequalled before or since. Both Charlotte's "Jane Eyre" and Emily's "Wuthering Heights" have won lofty places in the pantheon and stirred the romantic sensibilities of generations of readers. This "Leatherbound Classics" edition unites these two enduring favourites with the lesser known, but no less powerful work by their youngest sister, Anne Bronte. Drawn from Anne's own experiences as a governess, Agnes Grey offers a compelling view of Victorian chauvinism and materialism. 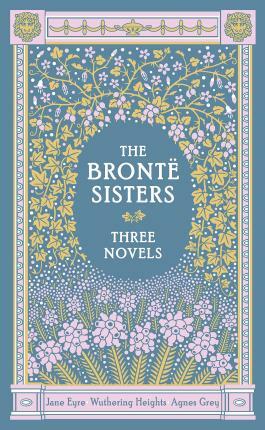 Its inclusion makes "The Bronte Sisters" a must-have volume for anyone fascinated by this singularly talented family.